This is a very tasty seven day summer weight loss diet, and it is not that difficult to follow. It is especially good during the hot summer time, which is also a prime season for all different kinds of fruits and vegetables. So pick your favorite fruits and vegetables and eat them every day during breakfast, lunch and dinner for the whole week. Just remember to drink enough water: at least 8 cups a day. First day eat only vegetables. Let’s say you choose cucumbers. You can eat as many of them as you wish (5-10 pounds or even more). Cucumber is an exceptional vegetable because it is 90% water. So if you pick cucumber as your vegetable of the day it will cleanse and detox your body and supply it with uniquely structured water that will nourish your body cells with all necessary minerals and vitamins. 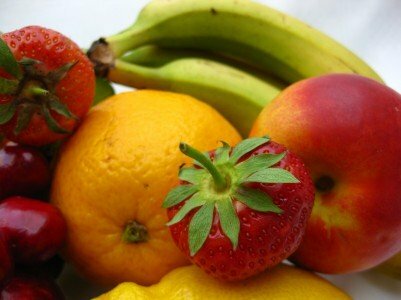 If the previous day was all about vegetables, then you should dedicate today to fruits. For example choose apples, peaches, oranges or pears or all of them together. Try distributing them evenly throughout the whole day and if it is not enough you may eat one cup of low fat yogurt. Today eat only berries. It can be delicious fresh strawberries, blueberries, raspberries or any other berries of your choice. Eat them throughout the whole day and do not forget to drink plenty of water. Enjoy different cultured milk products during the forth day of this summer weight loss diet. You can choose cottage cheese, yogurt, kefir or buttermilk. If you start feeling hungry you can eat few sweet fruits such as peaches, grapes or cherries. Return back to vegetables on the fifth day. Choose five of your favorite vegetables and eat one of them at each serving. Same as the second day, except for add two cups of low fat yogurt at dinner time. This will probably be the hardest of all days. But keep it strong, this is the last day of your summer weight loss diet. During this day drink fruit and vegetable juices – choose apples, carrots, oranges, tomatoes, spinach, celery etc. After this summer weight loss diet you can return to your usual eating habits, but remember to make a gradual switch, otherwise all your efforts will go to waste. If the seven days seems like too much for you, you can do an express 3 day course where you eat only vegetables the first day, fruits the second day and cultured milk products the last day.